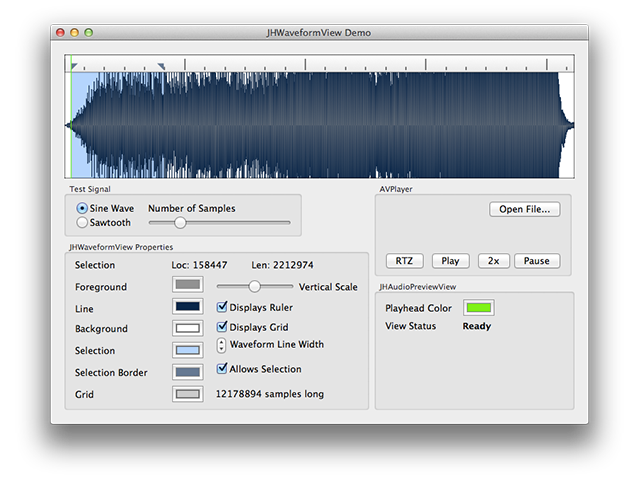 An NSView subclass that draws a waveform overview. The view provides an optional ruler, grid and allows selection. JHWaveformView is able to graph any float* array, and a subclass, JHAudioPreviewView, attaches to an AVPlayer object and renders an overview of that player's asset, allows you to seek on the asset through the view, and renders the playhead position on the view.